At the societal level there is a rising tide of distrust. In a world where fake news appears to be crowding out real news, loss of trust and confidence in information channels and sources is growing. This is particularly evident in the manner people source and consume information, with reliance on traditional media decreasing at a significant rate, and renewed confidence in experts, notably technical experts and academics, as trusted information sources. When fake news threatens real news, the origin of content begins to matter more. The latest Edelman Trust Barometer Global Report[i] highlights the significant collapse in trust levels in the US, including a 30% decline in trust in government, across all demographics. Conversely, in the other of the two most powerful nations in the world – China, trust is soaring. The report identifies the consequences of a loss of belief in reliable information as volatility, societal polarisation and a declining faith in governing structures. Concern about fake news and the growing willingness to listen to experts indicates a yearning for knowledge and truth, and attempts to ensure that facts triumph over fears. At the organisational level, businesses depend on trust in order to survive and flourish. However, public trust in business is low, with a recent Ipsos-MORI survey[ii] identifying only 36% as trusting business leaders to tell the truth. The survey scores nurses and doctors at over 90% and politicians at 17%. In the PwC Global CEO Survey 2015[iii], just over half of the respondents worldwide cited a lack of trust in business as a barrier to future growth; the latest results in 2017[iv] show that this figure has risen to almost two-thirds. The reasons behind the decline in trust are varied, however technology has played a significant role. Breaches in data security and privacy, cyber security, social media and IT outages being viewed as contributory factors. As technology is here to stay, what can business leaders do to address the issue of falling trust as it poses a serious business risk. 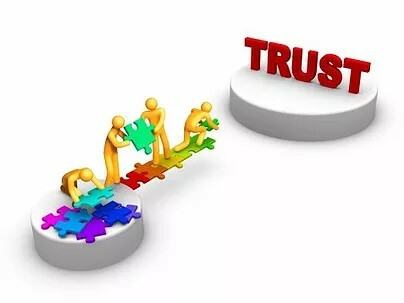 According to Nan Russell[v], trust is the new workplace currency; she states that people don’t give ideas, discretionary efforts, enthusiasm, or do their best work for people they don’t trust. Therefore, understanding and managing trust is a critical competency for any organisation, but what makes for a trustworthy organisation? According to the Institute of Business Ethics[vi], a trustworthy organisation is one that operates effectively, acts with due concern for the interests of stakeholders, and conducts itself according to the principles of honesty and fairness. Trust is not a soft issue, and the rising tide of distrust should be of great concern to us all. Trust is a vital asset for every organisation, underpinning its licence to operate. Businesses need to embed the right culture and behaviours to build trust, both externally and internally. A key component of this is effective leadership and the ‘tone from the top’. Leaders need to embody the values and behaviours of their organisations, communicating and engaging stakeholders in a genuine and authentic manner. Trust is now a core leadership issue[vii] and it is driving the movement away from reliance purely on rationality in decision making, to placing value on broader human skills. Effective leaders are demonstrating ‘courageous vulnerability’, working more collaboratively and engaging stakeholders more wholeheartedly. Organisations often focus on why trust matters. However, they need to be really clear about how to build and sustain trust, and recognise what people see as the key components of a trustworthy organisation. 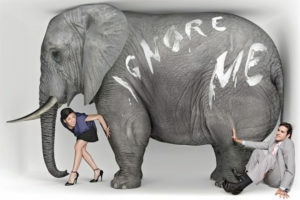 The building blocks of trust are not rocket science, they are the traditional virtues of consistency, clear communication, plus a preparedness to tackle awkward questions and address difficult issues – the elephant in the room. It is the responsibility of every leader to make trust a top priority, and to lead by example in demonstrating consistent behaviours and honest communication. The return will be loyalty, dedication and high performance from all stakeholders, particularly employees, who ultimately determine the fate of the organisation. In my next Insights issue I will discuss how to avoid the enemies of trust, and what leaders and organisations can do when trust is damaged.